A list of the top six major archaeology sites of 2018 was released at a forum sponsored by the Chinese Academy of Social Sciences (CASS) on Thursday in Beijing, capturing the attention of history buffs. Dates of the sites range from the Paleolithic to 900 years ago, while locations range from Hebei Province in North China to South China's Guangdong Province. Excavated in Yingde city in Guangdong Province, the Qingtang Ruins are the remains of cave residences dating from the transitional period between the Paleolithic and Neolithic. Since 2016, experts and scholars have uncovered a number of important relics at the site, including tombs and fireplaces. More than 10,000 items have been unearthed so far, including ancient human fossils, animal bones, stone tools, pottery works and cowrie shells, according to a report from chinanews.com. Consisting of a group of caves, the Qingtang Ruins reveal the settlement patterns of humans living in South China around 25,000 to 10,000 years ago and give insight into China's historical transition from a hunter-gatherer society to an early agricultural society. These Neolithic ruins were excavated in Lushanmao, a village near Yan'an, Shaanxi Province. The site, dating to 4,800 years ago, covers an area of more than 2 million square meters, according to a report from the Guangming Daily. According to the Shaanxi Daily, a large man-made foundation and a number of regular courtyards with jade-carved works have been discovered. The ruins are also one of the earliest prototypes of later Chinese palaces. Discovered in Liujiawa village, Northwest China's Shaanxi Province, this site contains the ruins of a small city, a residence and a cemetery. A large number of bronzes, as well as precious cultural relics made from gold, jade, iron, clay and lacquered wood have been unearthed, leading scholars to deduce that the residents belonged to upper-class society. After two years of excavation, experts surmise that this site was the capital city of Rui, a small state that existed during the late Eastern Zhou Dynasty (770 BC-256 BC). 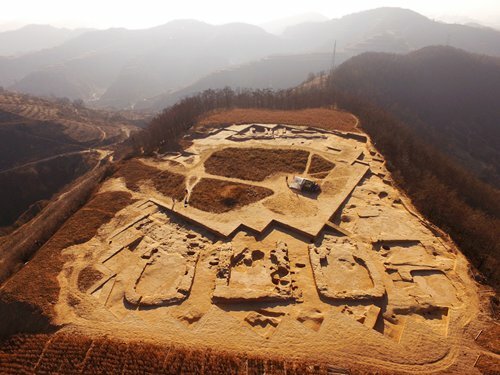 The discovery of the Liujiawa ruins is of great significance for research into the history of the Zhou Dynasty and the society of eastern Shaanxi Province. Located in Shayang county, Central China's Hubei Province, the Chenghe Ruins are the remains of an important city belonging to the late Shijiahe (4600 BC-4000 BC) and early Qujialing cultures (3300 BC-2600 BC). Important finds include city walls, man-made water systems, large courtyard buildings and their ancillary facilities, general residential sites, pottery production areas, a large cemetery and sacrificial items, all of which reveals the level of development of the Qujialing Culture, scholar Peng Xiaobing told the Guangming Daily. Located in Quxian county, Southwest China's Sichuan Province, the Chengba site is the earliest and largest ancient city remains discovered so far in the eastern part of the province. Unearthed tiles and bamboo slips with writing on them indicate that the site was the ancient Qin (221 BC-206 BC) and Han (206 BC-AD 220) city of Dangqu, a major hub of cultural communication and convergence, researcher Chen Weidong told the Guangming Daily. The site has provided important materials for attaining further insight into the local administrative systems of the time. Located roughly 150 kilometers northwest of Beijing, the Taizicheng Ancient City Remains were discovered in the Chongli district of Zhangjiakou, North China's Hebei Province. 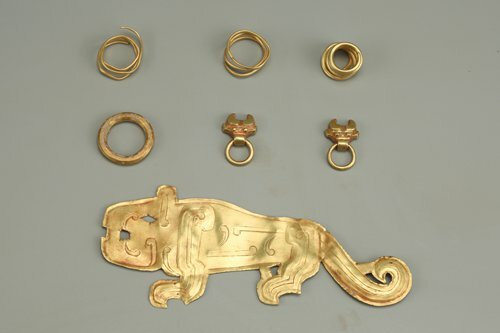 Items discovered on site point to it dating from the Jin (1115-1234), a Jurchen empire that ruled over northern China. The site covers an area of about 140,000 square meters and contained relics of unusually high quality and in some cases bearing royal marks. It was most likely the location of an important royal palace during the Jin and has proven extremely valuable for research into the time period.